We do love our giveaways, and we truly hope they never end! 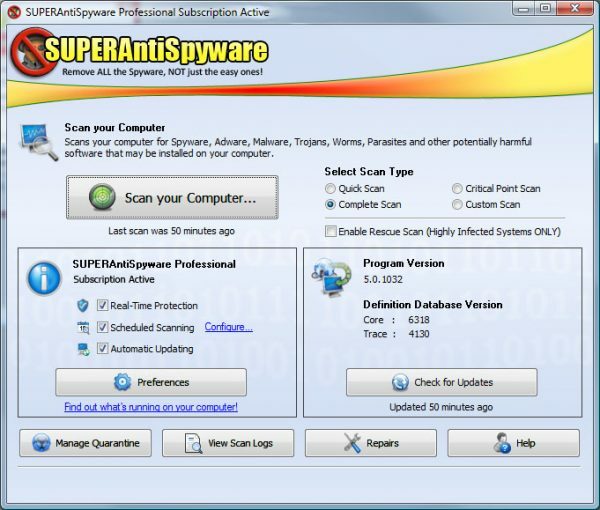 Our latest giveaway is thanks to Support.com, and they are offering you guys ten free copies of the award winning SuperAntiSpyware software. Ten lucky winners will be chosen at random from the entries at midday on the 16th of September, 2013. The closing time will be confirmed nearer the time through Facebook and Twitter, so make sure you have liked our page and/or follow us!